Fictional build with left over decals. Out of the box. NICE! 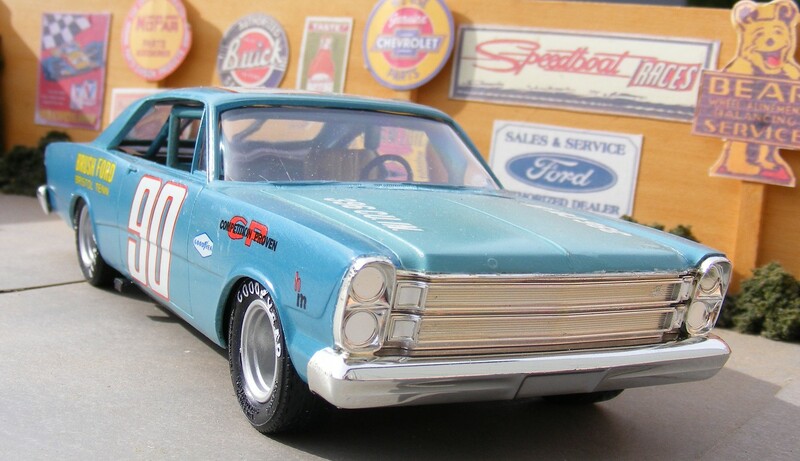 Those MPC tires do look good on mid-'60s cars, and look great on Late-Model racers from that period. Beautiful build! Reminds me of the days before all the aftermarket parts and decals were available and we built out of the box with what we had on hand. I like the Junie/Ford tie in. Nice build. Nice I really like this! But then, I'm a fan of fictional builds.....!